The Verge reports via a German paper that Google has reportedly paid Eyeo, the makers of Adblock Plus to whitelist their ads. 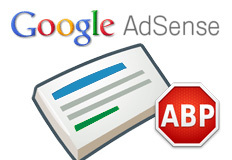 That means, Google has supposedly paid to make sure their ads are not blocked by this adblock tool. I should note, Adblock is the most popular browser extension on Chrome and Firefox for blocking ads. Whitelisting is free for all small websites and blogs. However, managing this list requires significant effort on our side and this task cannot be completely taken over by volunteers as it happens with common filter lists. That's why we are being paid by some larger properties that serve nonintrusive advertisements that want to participate in the Acceptable Ads initiative. As you can imagine, advertisers and publishers are okay with this but some consumers are not.